Hello, hello! Or should I say rabbit, rabbit?! Happy August, my favorite month of the year! 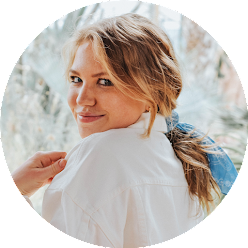 I'm so excited for this week in posts because I'm officially starting to share a few of my dorm sneak-peeks, all starting with today's shopping guide. The next few days also happen to be a collaboration with Caroline, Renee and Nicole! Today we will each be sharing our picks for shopping for a different dorm category, so read on below for the best places to find rugs and throw pillows, and be sure to check out Caroline's post for bedding, Renee's for desk organization, and Nicole's for closet and clothes organization! When it came time to decide on a theme and overall vibe for my dorm, I knew getting the area rug was the first thing I'd want to do. Finding a rug is a pretty big step in creating the foundation for your dorm's style (I mean, it literally goes on the floor), so right next to bedding I'd say that you pretty much have a dorm dynamic duo necessary for kicking everything off. I've already shared my dorm rug in this post, but I found a few great websites in my search that I think are wonderful places to find good options. Most dorms work well with a 5x7 size rug, or something similar to that size. Another aspect of my dorm that I am really excited to get creative with is my bed. 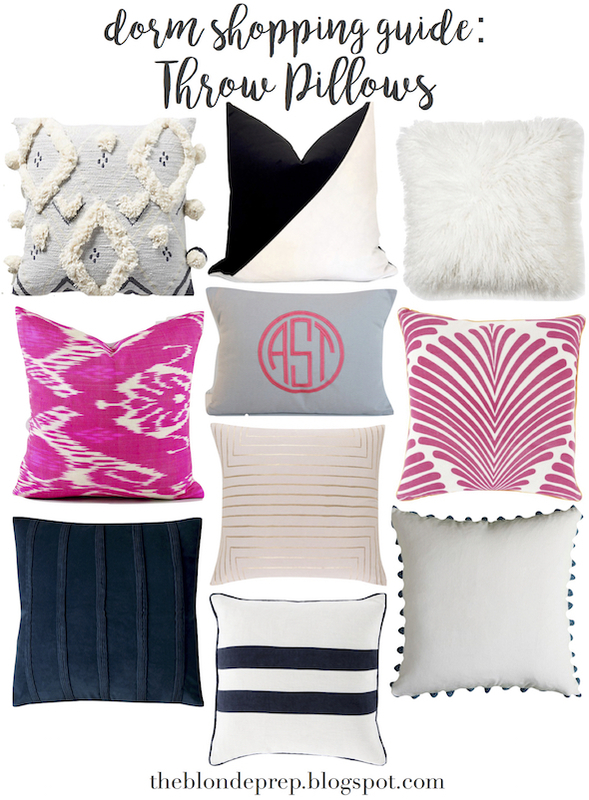 Caroline is sharing bedding on her blog today, but I'm sharing my favorite pillows to add on top! There's something about rugs and pillows that just add such a homey, cozy vibe to a room, especially when throw pillows are loaded up on the bed. 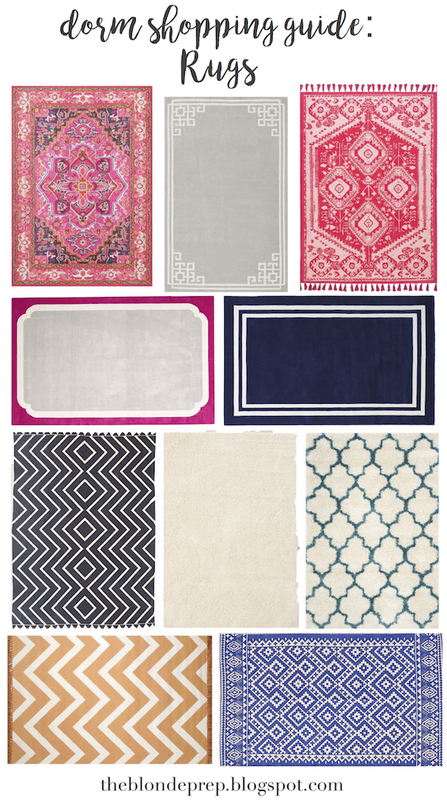 Where have you found cute rugs and throw pillows? I'd love to hear of new places to look. Be sure to check out Caroline, Renee and Nicole's blogs today too! I never did a throw pillow in my dorm but that would've been so cute! My roommate and I did pick out a big rug which we loved from PB because it covered up the gross old dorm carpet (and some of my friends had linoleum floors which are cold and even worse!). Enjoy decorating and getting into your freshman year, it's such an amazing time in life, I wish I could go back sometimes! Very cute decor ideas. Decorating is so much fun. I found both my living room area rug and dining room area rug on Gilt. I love their site for decor items. I seriously loved the pillows and rugs you picked! I feel like I still need a few pillows to complete my bed and these would all be perfect! These are all such cute picks! I always just picked up a generic plain rug from the people selling them outside of dorms because it easy and cheap, but I so wish I had put the thought into getting a cute one - in such a small space it can totally transform it! Great post!